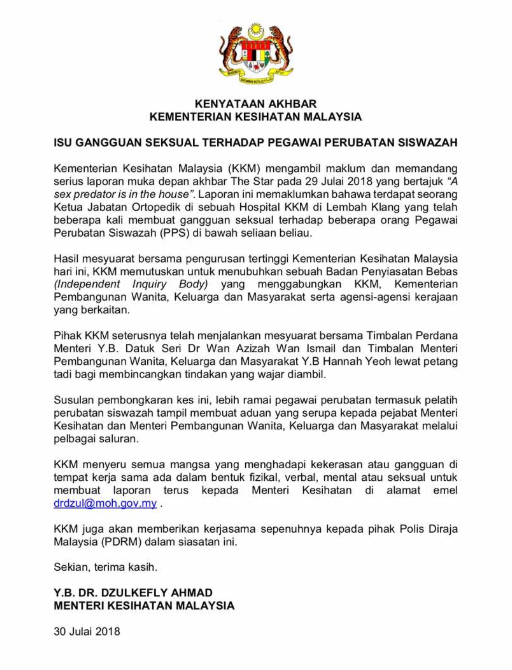 A press release dated 30 July revealed that victims can report their cases to the Health Minister via email. Victims felt trapped as the man would threaten to destroy their careers if word leaked out about what was happening. 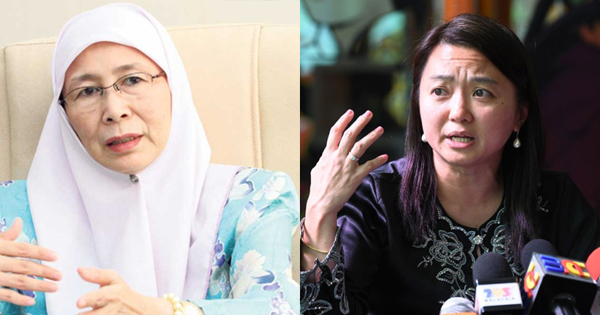 Bernama reported that Deputy Prime Minister Datuk Seri Dr Wan Azizah Wan Ismail and Women, Family, and Community Development Deputy Minister Hannah Yeoh held meetings to discuss the appropriate action to take on the matter. Deputy Prime Minister Datuk Seri Dr Wan Azizah and Deputy Minister Hannah Yeoh. Twitter users are outraged by the whole incident and have started a hashtag #JusticeForGoat. They were taken to the Johor Bahru High Court yesterday, 29 July.